When it comes to content marketing, video has become incredibly powerful. 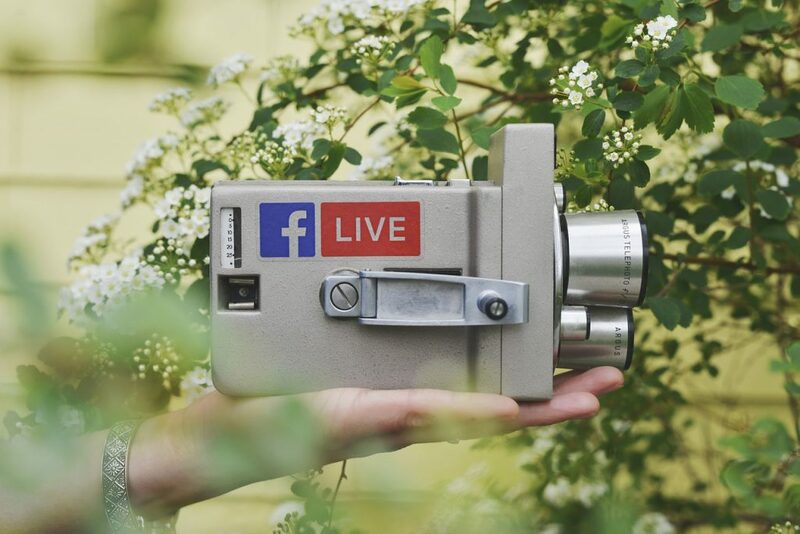 A great way to harness the power of video content and combine it with the reach of social media is to use Facebook Live to market your real estate business. Here are five great ways to use Facebook Live for realtors. People lead busy lives. Between work and family obligations, home buyers can often find it challenging to attend open houses for the properties they’re interested in because dates and times don’t align with their schedules. That’s why using Facebook Live to create a virtual open house tour that anyone can watch is such an excellent way to provide convenience for prospective clients. Nothing generates interest in a property quite like a live walk-through, especially if you provide commentary throughout the broadcast. Pointing out architectural elements, noting when and where renovations have taken place, and simply offering detailed information about the home and neighborhood adds even more value to these virtual tours. It’s a perfect example of how using Facebook Live for realtors can help grow your business. Using live video can go farther than just showcasing properties, though. Offering viewers a tour of local neighborhood attractions not only provides great value to viewers but also helps to build your own reputation as a realtor that can speak with knowledge and authority about that neighborhood, and that aids in developing trust — the kind of trust that can make a difference between a buyer’s decision to submit an offer or not. You can showcase any number of neighborhood elements. Popular choices are playgrounds and parks, shopping districts, restaurants and bars, or schools and libraries. Pick a beautiful, sunny day that’s not too hot, too cold, or too windy to ensure you have the perfect backdrop to your Facebook Live video. Help these neighborhoods tell their stories and you’ll be generating real interest in nearby properties. A realtor’s social media channel should be filled with valuable insights into what it takes to be a homeowner, and using Facebook Live for realtors provides opportunities to create video content that offers insider information on any number of topics related to that. Spending time bringing other experts in to share their knowledge accomplishes this — while also showing how well connected you are. Interview experts on different facets of the home buying process, such as a mortgage broker. Discuss local market conditions with an economist. Talk to a home stager and watch them work. Remember that you’re not always directly selling on social media but providing entertainment and education to your followers as well! You can showcase the strength of your relationships with local businesses by partnering with them and then documenting the partnership on video. Sponsor a giveaway or raffle where you pick the winner live on video, profile a hot new restaurant, solicit donations for your local food pantry — whatever you think will show your viewers how connected you are to local businesses and organizations. Your happy, successful clients are your best resource. Interview them on Facebook Live and tell their story together about how, together, you found the perfect home for their needs. Fill these stories with drama and excitement — highlight complications, but make sure these stories all have happy endings! Doing so helps cement your reputation as a smart and effective real estate professional that can help anyone find their own dream home.